This fresh salad goes perfectly as a side or a snack. We love these salads as a snack. Combine all these ingredients in a small saucepan. Cover, bring to a boil. Stir, reduce to a very low simmer, cover and cook for 15 minutes. While the quinoa is cooking let’s prepare the rest of the ingredients. Add all the ingredients to a medium bowl and mix well. 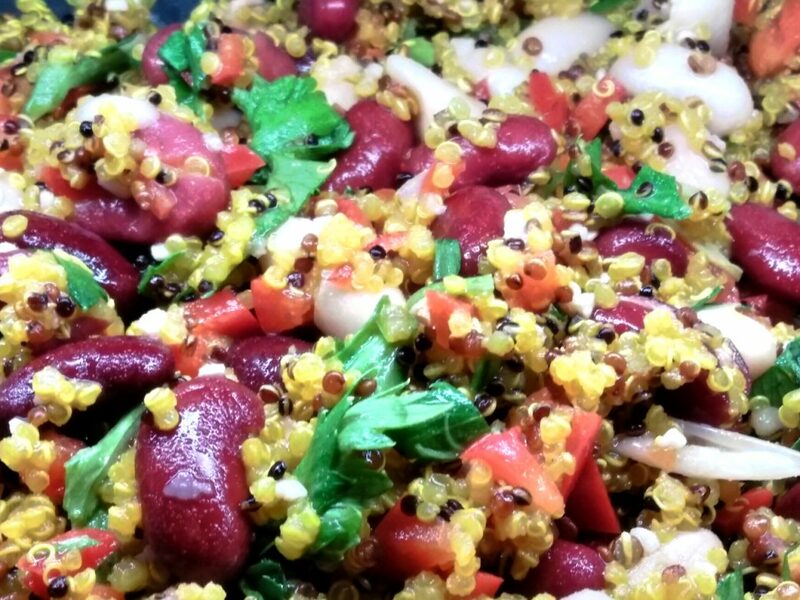 You will want the quinoa to cool before mixing it in this salad. It will delicious right now but after a few hours or even overnight the flavors will meld and be extremely yummy.